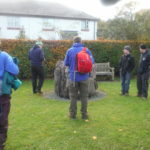 What a pleasure to see this trip so well supported by members of the club. 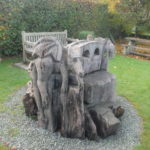 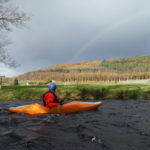 We found ourselves in an impressive location with fantastic scenery along the river and lake. 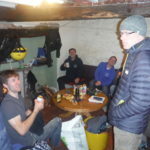 The bunkhouse was in the middle of now where down a sheep track. 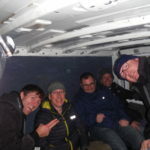 Very unnerving when you arrive in the dark wondering whether you have taken the right forest mud track with no possible way of turning back! 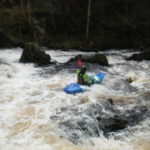 The pictures on the blog speak for themselves, with wave trains, bone shakers, log jams,techy bits, and some great waterfalls and waves to play on. 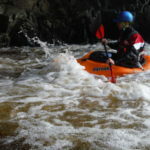 This was a new venue for everyone which made it an even more exciting adventure into the unknown. 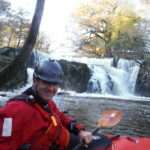 The dam over the river Vyrnwy was very impressive matched by the weir further along with its 20 foot drop over rocks. 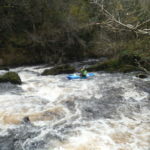 The usual problem as the weekend approached NO RAIN!! 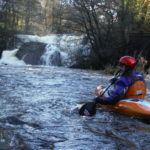 Lucky for us Welsh water decided to release some water from Lake Vyrnwy. 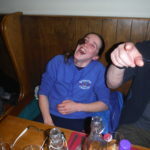 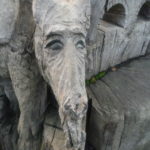 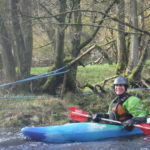 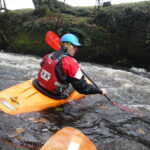 Saturday we paddled Pont Llogel to Pontrobert and on Sunday Llanwddyn to Pont Llogel. 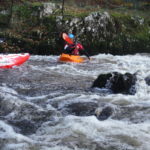 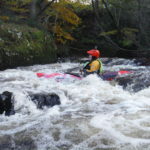 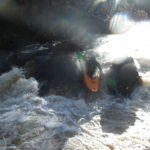 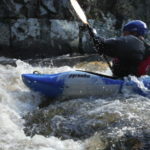 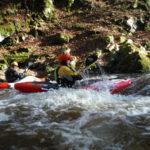 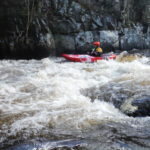 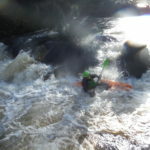 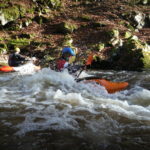 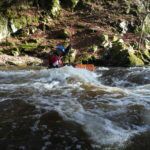 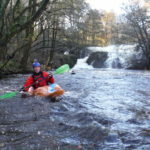 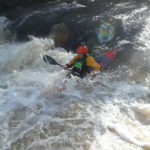 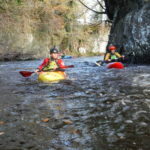 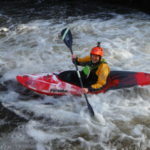 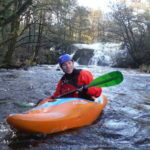 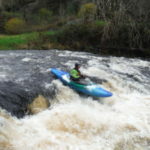 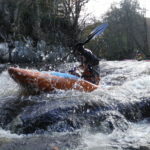 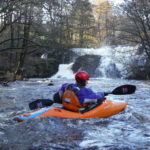 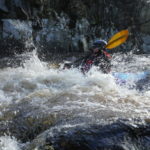 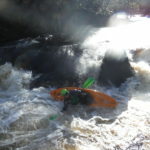 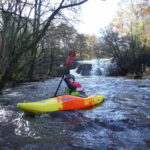 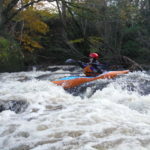 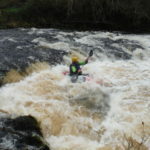 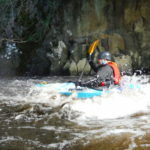 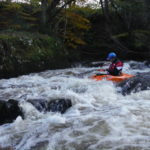 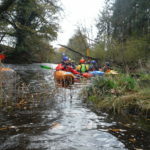 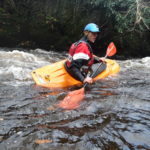 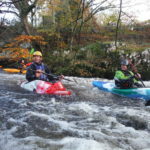 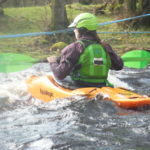 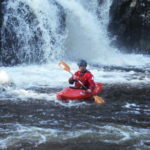 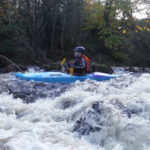 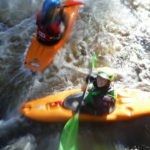 The River Vyrnwy is great for an intro to Whitewater grade 2-3 with something for everyone, we will go back. 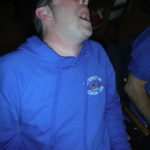 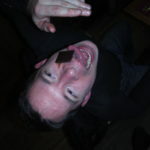 Aftereights supplied by Chris, good game thanks mate.